THE finest food and drink the county has to offer will be celebrated at March’s Taste of Kent awards, and producers from Canterbury district and Faversham will be there. 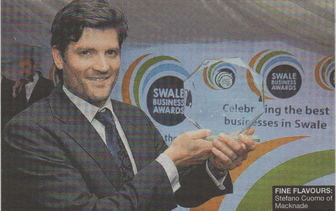 From 550 nominated businesses, only 30 remain, in 10 categories. Five of these are from Canterbury and Faversham and range from centuries-old classic producers to shops set up only last year. The Taste of Kent Awards, organised by Produced in Kent to showcase Kent’s finest food and drink products, provides the public with a unique opportunity to hand-pick and vote for their favourite producers, retailers, restaurants, dining pubs and farmers’ markets. The three fialists in each category will now go forward to be judged by mystery shoppers and diners or an expert judging panel to find Kent’s ultimate “food and drink heroes”. The final winners will be revealed at a black-tie awards dinner on March 12 at the Kent Events Centre, Kent County Showground, which will be catered for by Maddie Allen, owner of Mama Feelgoods of Bekesbourne near Canterbury. 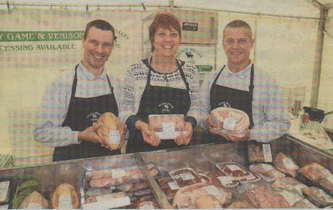 Stour Valley Game, Chartham, nominated for Kent Butcher or Meat Producer of the Year. 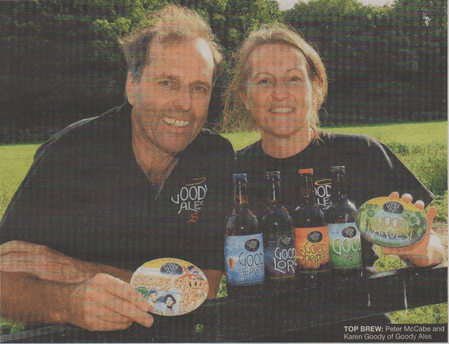 Goody Ales, Herne, nominated for its beer, Good Health, for Best Kentish Beer. Peters Produce, Herne Bay, nominated for Kent Local Food Retailer of the Year. 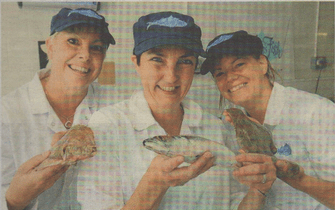 Hudson’s Fish, Herne Bay, nominated for Kent Fishmonger of the Year. Speaking to the Times, Daran Byron of Stour Valley Game said he never expected to make it this far, since it’s his business’s first time in the contest. The nominees for Faversham include Shepherd Neame, nominated for their beer Whitstable Bay for Best Kentish Beer, and Macknade Fine Foods, nominated for Kent Local Food Retailer of the Year.